We know that cats are carnivores and crave animal protein just like big cats in the wild. That's why we have Real Chicken, Salmon or Tuna in all of our products, in a high protein recipe. * 40% more dry cat food vs. another leading brand 1.42kg bag. 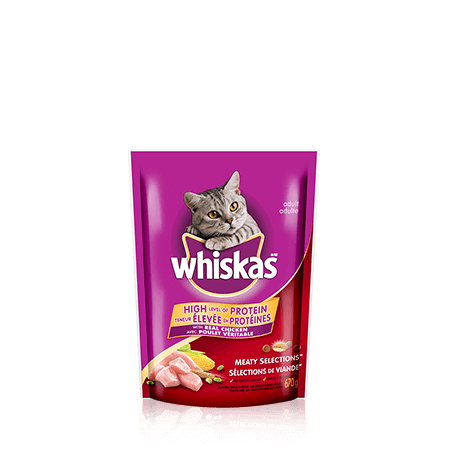 WHISKAS ® Meaty Selections Dry Cat Food With Real Chicken, 670g is rated 4.3 out of 5 by 89.